The business world is becoming more and more focused on optimizing their workflow processes and records management to save time- and money. More and more people are working from home, and becoming more reliant on a flexible system that allows you to access business files, emails, and interface with fellow employees and managers quickly and easily. Although there is still a place for onsite storage of hard-copy paper files and records, the migration to cloud storage is becoming more of a mainstay than just an alternative. It’s easy to understand why companies are migrating to the cloud. Cloud storage make it easier to access your secure documents, but it also means that you never have to worry about losing your records, or any other record keeping mistakes. Cloud storage gives you the option to have all of the files and information accessible from any computer at any time. A great example of how cloud storage works is a web-based email account- if you have access to the internet, you have access to your email. Cloud storage works the same way. It also has (almost) unlimited storage capacity, so adding more files might require an increase in a monthly fee, but it won’t take up the time of an employee or space in your office. If anything, it eliminates it! One of the main concerns with cloud storage is the security of your documents. In reality, your data can (or should) be 100% encrypted from the second you log into your account. The most important thing to remember when it comes to online security is that you’re only as secure as the systems you set up. By having strong passwords, limiting access to the account, and ensuring you choose a cloud service that has the security you need will ensure that you have the systems in place to protect your data. There are plenty of different ways to store your business records- cloud storage is one of the popular choices because it’s easy to implement, can be accessed anywhere, and is very secure. 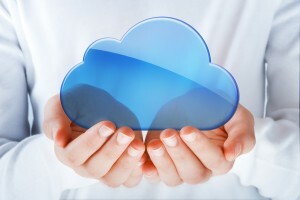 If you would like more information on Cloud Storage, Record Nations can help.